B. Genc, M. Siala, G. Simonin, B. O'Sullivan. Complexity Study for the Robust Stable Marriage Problem. In Theoretical Computer Science ; éd. Elsevier, 2019. D. Chablat, E. Ottaviano, S. Venkateswaran. Self-Motion conditions for a 3-PPPS Parallel Robot with Delta-Shaped Base. In Mechanism and Machine Theory ; éd. Elsevier, 2019, vol. 135. H. Sabahno, A. Amiri, P. Castagliola. Performance of the Variable Parameters X Control Chart in Presence of Measurement Errors. In Journal of Testing and Evaluation ; éd. ASTM International, 2019, vol. 47, num. 1. J. Czapalay Erskine, A. Chriette, S. Caro. Wrench Analysis of Cable-Suspended Parallel Robots Actuated by Quadrotors UAVs. In Journal of Mechanisms and Robotics ; éd. American Society of Mechanical Engineers, 2019, vol. 11, num. 2. J. Duan, C. Soussen, D. Brie, J. Idier, Y. Wang, M. Wan. A parallelizable framework for segmenting piecewise signals. In IEEE Access ; éd. IEEE, 2019, vol. 7. M. Habibi, O. Battaïa, V. Cung, A. Dolgui, M. Tiwari. Sample average approximation for multi-vehicle collection–disassembly problem under uncertainty. In International Journal of Production Research ; éd. Taylor & Francis, 2019, vol. 57, num. 8. N. Bouhlel, S. Meric. Maximum-Likelihood Parameter Estimation of the Product Model for Multilook Polarimetric SAR Data. In IEEE Transactions on Geoscience and Remote Sensing ; éd. Institute of Electrical and Electronics Engineers, 2019. S. Briot, P. Robuffo Giordano. Physical Interpretation of Rigidity for Bearing Formations: Application to Mobility and Singularity Analyses. In Journal of Mechanisms and Robotics ; éd. American Society of Mechanical Engineers, 2019. S. Li, C. Moog, W. Respondek. Maximal feedback linearization and its internal dynamics with applications to mechanical systems on R4. In International Journal of Robust and Nonlinear Control ; éd. Wiley, 2019. T. MohammadRidha, P. Rivadeneira, N. Magdelaine, M. Cardelli, C. Moog. Positively Invariant Sets of a T1DM Model: Hypoglycemia Prediction and Avoidance. In Journal of The Franklin Institute ; éd. Elsevier, 2019. T. NGUYEN, K. Tran, P. Castagliola, G. Celano, S. Lardjane. One-Sided Synthetic control charts for monitoring the Multivariate Coefficient of Variation. In Journal of Statistical Computation and Simulation ; éd. Taylor & Francis, 2019. V. de-León-Gómez, Q. Luo, A. Kalouguine, J. Pámanes, Y. Aoustin, C. Chevallereau. An essential model for generating walking motions for humanoid robots. In Robotics and Autonomous Systems ; éd. Elsevier, 2019, vol. 112. X. Delorme, A. Dolgui, S. Kovalev, M. Kovalyov. Minimizing the number of workers in a paced mixed-model assembly line. In European Journal of Operational Research ; éd. Elsevier, 2019, vol. 272, num. 1. Z. Wang, C. Da Cunha, M. Ritou, B. FURET. Comparison of K-means and GMM methods for contextual clustering in HSM. In Procedia Manufacturing ; éd. Elsevier, 2019, vol. 28. A. David, D. Le Touzé, K. Warin-Fresse, P. Paul-Gilloteaux, F. Bonnefoy, J. Idier, S. Moussaoui, P. Guérin, J. Serfaty. In-vitro validation of 4D flow MRI measurements with an experimental pulsatile flow model. In Diagnostic and Interventional Imaging ; éd. Elsevier, 2019, vol. 100, num. 1. A. Mostefaoui, M. Raynal, M. Roy. Time-Efficient Read/Write Register in Crash-prone Asynchronous Message-Passing Systems. In Computing ; éd. Springer Verlag, 2019, vol. 101, num. 1. F. Schmidt, S. Bourguignon. Efficiency of BRDF sampling and bias on the average photometric behavior. In Icarus ; éd. Elsevier, 2019, vol. 317. G. Gilbert, J. Cockx, M. Sozeau, N. Tabareau. Definitional Proof-Irrelevance without K. In Proceedings of the ACM on Programming Languages ; éd. ACM, 2019. M. Mermillod, Y. Bourrier, E. David, L. Kauffmann, A. Chauvin, N. Guyader, F. Dutheil, C. Peyrin. The importance of recurrent top-down synaptic connections for the anticipation of dynamic emotions. In Neural Networks ; éd. Elsevier, 2019, vol. 109. O. Cardin. Classification of cyber-physical production systems applications: Proposition of an analysis framework. In Computers in Industry ; éd. Elsevier, 2019, vol. 104. D. Sferruzza, J. Rocheteau, C. Attiogbé, A. Lanoix. A Model-Driven Method for Fast Building Consistent Web Services from OpenAPI-Compatible Models. In Model-Driven Engineering and Software Development ; éd. Springer, 2019. T. Wang, O. Bellenguez-Morineau. The Complexity of Parallel Machine Scheduling of Unit-Processing-Time Jobs under Level-Order Precedence Constraints. In Journal of Scheduling ; éd. Springer Verlag, 2019. M. Yagoubi, Y. FENG, Y. Huang. Hinfinity control under asymptotic tracking constraint and nonproper output weights. In International Journal of Control ; éd. Taylor & Francis, 2019. R. Soto, J. Gómez-Pulido, S. Caro, J. Lanza-Gutiérrez. Data Science and AI-Based Optimization in Scientific Programming. In Scientific Programming ; éd. IOS Press, 2019, vol. 2019. A. Dolgui, D. Ivanov, S. Sethi, B. Sokolov. Scheduling in production, supply chain and Industry 4.0 systems by optimal control: fundamentals, state-of-the-art and applications. In International Journal of Production Research ; éd. Taylor & Francis, 2019, vol. 57, num. 2. T. Ngo, F. Belkadi, A. Bernard. Managing Collaborations between Medical and Engineering Actors in Case of Prosthesis Implantation: A PLM-Based Approach. In Computer-Aided Design and Applications ; éd. CAD Solutions LLC (imprimé) and Taylor & Francis Online (en ligne), 2019, vol. 16, num. 5. D. Eveillard, N. Bouskill, D. Vintache, J. Gras, B. Ward, J. Bourdon. Probabilistic Modeling of Microbial Metabolic Networks for Integrating Partial Quantitative Knowledge Within the Nitrogen Cycle. In Frontiers in Microbiology ; éd. Frontiers Media, 2019, vol. 9. A. Tang, P. Castagliola, X. Hu, J. Sun. The adaptive EWMA median chart for known and estimated parameters. In Journal of Statistical Computation and Simulation ; éd. Taylor & Francis, 2019, vol. 89, num. 5. H. El Ghor, M. Chetto. Energy Guarantee Scheme for Real-time Systems with Energy Harvesting Constraints. In International Journal of Automation and Computing ; éd. Springer Verlag, 2019. P. Castagliola, K. Tran, G. Celano, A. Rakitzis, P. Maravelakis. An EWMA-type sign chart with exact run length properties. In Journal of quality technology ; éd. Asqc American Society for Quality Control, 2019, vol. 51, num. 1. A. Goldsztejn, G. Chabert. Estimating the robust domain of attraction for non-smooth systems using an interval Lyapunov equation. In Automatica ; éd. Elsevier, 2019, vol. 100. A. Mahboubi, G. Melquiond, T. Sibut-Pinote. Formally Verified Approximations of Definite Integrals. In Journal of Automated Reasoning ; éd. Springer Verlag, 2019, vol. 62, num. 2. A. Tang, P. Castagliola, X. Hu, J. Sun. The performance of the adaptive EWMA median chart in the presence of measurement error. In Quality and Reliability Engineering International ; éd. Wiley, 2019, vol. 35, num. 1. N. Chong, M. Khoo, A. Haq, P. Castagliola. Hotelling's T 2 control charts with fixed and variable sample sizes for monitoring short production runs. In Quality and Reliability Engineering International ; éd. Wiley, 2019, vol. 35, num. 1. Z. Chong, M. KHOO, W. Teoh, H. You, P. Castagliola. Optimal design of the side-sensitive modified group runs (SSMGR) Xbar chart when process parameters are estimated. In Quality and Reliability Engineering International ; éd. Wiley, 2019, vol. 35, num. 1. Z. Zake, F. Chaumette, N. Pedemonte, S. Caro. Vision-Based Control and Stability Analysis of a Cable-Driven Parallel Robot. In IEEE Robotics and Automation Letters ; éd. IEEE, 2019, vol. 4, num. 2. L. Lemazurier, P. Chevrel, A. Grossetête, M. Yagoubi. An Alternative to Standard Nuclear Core Control using a Multi-Objective Approach. In Control Engineering Practice ; éd. Elsevier, 2019. T. Wang, O. Bellenguez-Morineau. A complexity analysis of parallel scheduling unit-time jobs with in-tree precedence constraints while minimizing the mean flow time. In Journal of Scheduling ; éd. Springer Verlag, 2019. D. Ivanov, A. Dolgui, B. Sokolov. The impact of digital technology and Industry 4.0 on the ripple effect and supply chain risk analytics. In International Journal of Production Research ; éd. Taylor & Francis, 2019, vol. 57, num. 3. D. Ameller, X. Franch, C. Gomez, S. Martínez-Fernández, J. Araujo, S. Biffl, J. Cabot, V. Cortellessa, D. Mendez, A. Moreira, H. Muccini, A. Vallecillo, M. Wimmer, V. Amaral, W. Bohm, H. Bruneliere, L. Burgueño, M. Goulao, S. Teufl, L. Berardinelli. Dealing with Non-Functional Requirements in Model-Driven Development: A Survey. In IEEE Transactions on Software Engineering ; éd. Institute of Electrical and Electronics Engineers, 2019. A. Coutrot, S. Schmidt, L. Coutrot, J. Pittman, L. Hong, J. Wiener, C. Hölscher, R. Dalton, M. Hornberger, H. Spiers. Virtual navigation tested on a mobile app is predictive of real-world wayfinding navigation performance. In PLoS ONE ; éd. Public Library of Science, 2019, vol. 14, num. 3. E. Ahvar, A. Orgerie, A. Lebre. Estimating Energy Consumption of Cloud, Fog and Edge Computing Infrastructures. In IEEE Transactions on Sustainable Computing ; éd. IEEE, 2019. E. Moulay, V. Léchappé, F. Plestan. Properties of the sign gradient descent algorithms. In Information Sciences ; éd. Elsevier, 2019. J. Duan, J. Idier, Y. Wang, M. Wan. A Joint Least Squares and Least Absolute Deviation Model. In IEEE Signal Processing Letters ; éd. Institute of Electrical and Electronics Engineers, 2019, vol. 26, num. 4. T. Lai, Y. Sotskov, A. Dolgui. The stability radius of an optimal line balance with maximum efficiency for a simple assembly line. In European Journal of Operational Research ; éd. Elsevier, 2019, vol. 274, num. 2. Y. Pan, D. Wu, C. Luo, A. Dolgui. User activity measurement in rating-based online-to-offline (O2O) service recommendation. In Information Sciences ; éd. Elsevier, 2019, vol. 479. L. Nurahmi, S. Caro, M. Solichin. A novel ankle rehabilitation device based on a reconfigurable 3-RPS parallel manipulator. In Mechanism and Machine Theory ; éd. Elsevier, 2019, vol. 134. S. Hosseini, D. Ivanov, A. Dolgui. Review of quantitative methods for supply chain resilience analysis. In Transportation Research Part E: Logistics and Transportation Review ; éd. Elsevier, 2019, vol. 125. �. André, B. Delahaye, P. Fournier, D. Lime. Parametric Timed Broadcast Protocols. In 20th International Conference on Verification, Model Checking, and Abstract Interpretation (VMCAI 2019), janvier 2019, Lisboa, Portugal. T. Winterhalter, M. Sozeau, N. Tabareau. Eliminating Reflection from Type Theory. In CPP 2019 - The 8th ACM SIGPLAN International Conference on Certified Programs and Proofs, janvier 2019, Lisbonne, Portugal. H. Skaf-Molli, P. Serrano-Alvarado, S. El Hassad, E. Desmontils, P. Molli. Infrastructure décentralisée et sémantique pour l'apprentissage tout au long de la vie. In Atelier Web des Données (AWD) dans EGC, janvier 2019, Metz, France. P. François, F. Laroche, F. Rubellin, J. Leichman. Remonter le temps pour comprendre le passé : l'immersion virtuelle au service des historiens. In Conférence Extraction et Gestion de Connaissances 2019 (EGC2019)EGC 2019 - GT-DAHLIA, janvier 2019, Metz, France. M. Abderrahim, M. Ouzzif, K. Guillouard, J. François, A. Lebre, C. Prud'Homme, X. Lorca. Efficient Resource Allocation for Multi-tenant Monitoring of Edge Infrastructures. In PDP 2019 - 27th Euromicro International Conference on Parallel, Distributed and Network-Based Processing, février 2019, Pavie, Italie. D. Lemoine, F. Gayraud, G. Massonnet, E. Saccoman. Problème de lot sizing avec contraintes de capacité et financement du besoin en fond de roulement. In ROADEF 2019, février 2019, Le Havre, France. H. Boisaubert, C. Sinoquet. Detection of gene-gene interactions: methodological comparison on real-world data and insights on synergy between methods.. In 10th International Conference on Bioinformatics Models, Methods and Algorithms, Bioinformatics2019, février 2019, Prague, République tchèque. P. François, F. Rubellin, F. Laroche. Dans l'oeil de l'artiste : interprétation virtuelle d'une miniature de Louis-Nicolas van Blarenberghe. In Identités et circulation des spectacles forains : musique, théâtre, danse, acrobaties et marionnettes, 1660-1830, mars 2019, Reims, France. J. Gouigoux, T. Dalila. “Functional-first” recommendations for beneficial microservices migration and integration. Lessons learned from an industrial experience. In IEEE INTERNATIONAL CONFERENCE ON SOFTWARE ARCHITECTURE (ICSA 2019), mars 2019, Hamburg, Allemagne. Z. Wang, M. Ritou, C. Da Cunha, B. FURET. Classification contextuelle pour système d'aide à la décision pour machines-outils. 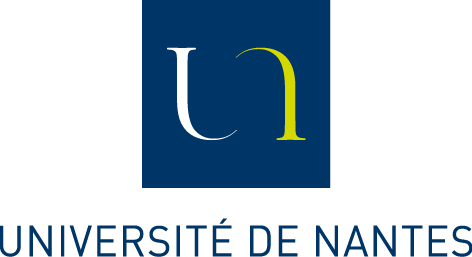 In Colloque National S-mart/AIP-PRIMECA, avril 2019, Les Karellis, France. F. Kordon, H. Garavel, L. Hillah, E. Paviot-Adet, L. Jezequel, F. Hulin-Hubard, E. Amparore, M. Beccuti, B. Berthomieu, H. Evrard, P. Jensen, D. Le Botlan, T. Liebke, J. Meijer, J. Srba, Y. Thierry-Mieg, J. Van De Pol, K. Wolf. MCC'2017-The Seventh Model Checking Contest. In 25th TACAS@ETAPS 2019, avril 2019, Prague, République tchèque. E. MALEKI, F. Belkadi, B. Alain. Sensor ontology to support collaborative design of Industrial Product-Service System. In 15ème Colloque National AIP-Priméca, avril 2019, La Plagne, France. T. Minier, H. Skaf-Molli, P. Molli. SaGe: Web Preemption for Public SPARQL Query Services. In The World Wide Web Conference 2019 (WWW'19), mai 2019, San Francisco, états-Unis. F. Boujdad, A. Gaignard, M. Südholt, W. Garzón-Alfonso, L. Benavides Navarro, R. Redon. On distributed collaboration for biomedical analyses. In CCGrid-Life 2019 - Workshop on Clusters, Clouds and Grids for Life Sciences, mai 2019, Larnaca, Chypre. J. Erskine, A. Chriette, S. Caro. Control and Configuration Planning of an Aerial Cable Towed System. In The 2019 IEEE International Conference on Robotics and Automation (ICRA~2019), mai 2019, Montreal, Canada. Z. Zake, F. Chaumette, N. Pedemonte, S. Caro. Vision-Based Control and Stability Analysis of a Cable-Driven Parallel Robot. In The 2019 IEEE International Conference on Robotics and Automation (ICRA 2019), mai 2019, Montreal, Canada. B. Moreau, P. Serrano-Alvarado, M. Perrin, E. Desmontils. Modelling the Compatibility of Licenses. In 16th Extended Semantic Web Conference (ESWC2019), juin 2019, Portorož, Slovénie. E. MALEKI, F. Belkadi, E. Bonjour, B. Alain. Interfaces modeling for Product-Service System integration. In IEEE 2018 13th Annual Conference on System of Systems Engineering (SoSE), juin 2019, Paris, France. A. Khalifa, O. Kermorgant, S. Dominguez, P. Martinet. Vehicles Platooning in Urban Environments: Integrated Consensus-based Longitudinal Control with Gap Closure Maneuvering and Collision Avoidance Capabilities. In European Control Conference, juin 2019, Naples, Italie. L. Blas, M. Bonilla, S. Salazar, M. Malabre, V. Azhmyakov. Synthesis of a robust linear structural feedback linearization scheme for an experimental quadrotor. In ECC19 European Control Conference, juin 2019, Naples, Italie. R. Balderas Hill, S. Briot, A. Chriette, P. Martinet. Exploiting Natural Dynamics in order to Increase the Feasible Static-Wrench Workspace of Robots. In The 15th IFToMM World Congress, juin 2019, Cracovie, Pologne. S. Venkateswaran, D. Chablat. A new inspection robot for pipelines with bends and junctions. In The 15th IFToMM World Congress, juillet 2019, Krakow, Pologne. Y. Deng, V. Léchappé, E. Moulay, F. Plestan. Prediction-based control with delay estimation of LTI systems with input-output delays. In 2019 IEEE ACC, juillet 2019, Philadelphia, états-Unis. B. Moreau, E. Desmontils, P. Serrano-Alvarado. Enrichissement de Données RDF Integrées à la Volée. In Atelier Web des Données (AWD) dans EGC, janvier 2019, Metz, France. E. MALEKI, F. Belkadi, B. Alain. A Meta-model for Product-Service System based on Systems Engineering approach. In 10th CIRP Conference on Industrial Product-Service Systems, IPSS, , . C. Boultifat. Contrôle acoustique actif du bruit dans une cavité fermée. Thèses : Ecole nationale supérieure Mines-Télécom Atlantique. T. Nguyen, R. Nou, A. Lebre. YOLO: Speeding up VM Boot Time by reducing I/O operations. Rapport technique, 2019 ; Inria. I. Zhirkov, J. Cohen, R. Douence. Memory bijections: reasoning about exact memory transformations induced by refactorings in CompCert C. Rapport technique, 2019 ; LS2N, Université de Nantes. L. Morvan, D. Mateus, C. Bailly, B. Jamet, C. Bodet-Milin, P. Moreau, C. Touzeau, F. Kraeber-Bodéré, T. Carlier. L A T E X TikZposter Prédiction de la progression chez des patients atteints de myélome multiple par "Random Survival Forest" Prédiction de la progression chez des patients atteints de myélome multiple par "Random Survival Forest. In ..., 2019, Paris, France.